I am enjoying the mod. However, only boys are being born. I have both genders selected for birth. Even my own sim had a boy. This was just in the first round of births. Is this coincidence, or a possible problem? 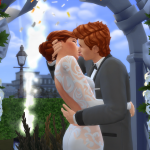 If your sim is already pregnant, you can still change number and gender of the offspring. You have to click on the pregnant sim and select 'MC Command Center' from the pie menu. ✘Note: This option is only available, if the target sim is currently pregnant. Otherwise it's hidden. I have a suggestion for something I'd like and wasn't sure where to post it, so posting here as I didn't want to further clutter his MTS forum. It might not even be DP's thing, but here goes. I'd like an in game toggle in, perhaps, the sim command menu or the dresser menu that disables ALL outfit switching regardless of circumstance and can then toggle back to normal settings. Very off-topic, this is about work, but I wanted to share it, because it's kind of a big deal to me. Jeffrey is leaving me. He got an offer for a better-paying job that's more his thing, and he accepted it. He's given a month's notice, though, to make the transition easier for the store. And whoever they bring in to be my manager, he'll be there too for our first week together, like Billy was for him when they changed places. I teared up when he told me, and TBH I'm doing it now, writing this. Excellent opportunity for him, and he lives behind the store, so it isn't like I'll *never* see him, but... I've really enjoyed working with him, and I'm going to miss him a lot. Cheerleader's in the house... a little weepy, but, I'm around. I can't decide whether to try to get a grip on myself, or to let it go and have a major meltdown. Maybe a little of both? BTW, we're looking at a couple of weeks before we see 3.2.0 publicly released. It's up (including listed changes) for Patreons, if anybody's interested. Looks cool, but I'm a main-version helper/bug tester. I'm leaving incoming-version bug testing to other folks. That's a big sacrifice EG. You really do deserve a lot of credit for the effort you put into supporting this Mod. I'll see the new goodies soon enough, and since I only really PLAY much every other week anyway, I'm not usually too far behind the already-updated crowd. I wanted the keys, not the "position." Literally, I wanted to be able to see the whole TODO list. That's the biggest "benefit" reason I went for $9... other than just because it's for Deaderpool, I mean. With that and the incoming stuff's change logs... I'm good where I am, over here in 3.1.1 land. I'm the Cheerleader. Of course I'd opt in for the top level. I have an image to maintain, y'know. LOL!!! Thank you for the "lot of credit." I really appreciate that. And believe me, if I had the kind of "create" talent it'd take to put up and maintain a Patreon page, I'd do it in a heartbeat. But that isn't the kind of creating I do. I'm pretty haphazard about schedules, so, counting on me for consistent content would be a possibly bad idea. I'm hoping to stumble across That Thing sometime, but, it hasn't landed in front of me yet. This is home. Even moreso than MTS. More here are playing with 3.1.1 (or maybe 3.0.3 still, pre-toddler folks), not the Patreon version. I really am okay with my decision to stick to the mainstream version of MC for playing, because that's the one I'll be helping with. No, I didn't know that. Thank you. Next pregnancy produced twin girls, but the NPC's round of babies haven't been born yet. It might have just been RNG that produced all boys the first time around. It's a bummer (I wonder whether it'll censor that...) when a co-worker that you get on well with leaves; makes you feel disorientated... Here's hoping Jeffrey's replacement proves to be someone you can work well with too. Hi guys, wondering if someone can help me out. 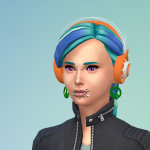 I spend so much of my time policing townie outfits - it seems like they put on every accessory in the game! I have no cc clothing but they just insist on somehow creating the most horrendous and unlikely pairings constantly. I have never looked closely at dresser, and I'm not sure what it's capable of. Is there a tutorial for using this part of the mod? TBH I don't know where to start. -I want to remove EA's accessories from the randomly generated outfits. How do I do this? 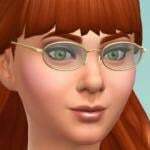 Do I need to dress my sim up with every accessory in the game and individually black list each item for each age? That would be such a chore. -I have been saving every outfit I see that looks acceptable. If I now switch the dresser setting to only use saved outfits, will sims be forced into a random saved outfit upon manual clean up/age up? What if that outfit includes accessories that I've black listed per above? What if no saved outfit is available for some categories? -What is the purpose of white listing? -Is there some way to blacklist items in bulk? 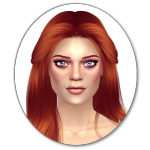 Like for example the nraas dresser mod for sims 3 you could right click clothing in CAS to block it for that age/category and it was a godsend. I have GOT to go to bed. Work night. Best advice would be to go to MC's description page and read through the Dresser section's Spoiler-buttoned info there. It's a LOT. Just read through it once, for the background info. A lot of it is about command lines... we don't do it that way now. You'll see. It's pretty easy once you get into it. After you've looked at the page info (the tables of body parts and so on are cool), in the game, click on a sim, and open the MC > Dresser menu. If you're worried about messing something up, use a copy of your save game. You can pretty much file away everything you just read. It's SO much simpler to do anything with dresser in the game now. The UI has really tamed the beast. Just click through the options. Push a few buttons. If you blacklist a hair or a fullbody outfit, you have to whitelist something else in the same category, so the game can replace it. There are a few things like that, those two are, for sure. Eyebrows are NOT like that, which to me, is the most ridiculous thing ever. Haha! Save an outfit. Sometime open your new mc_dresser.cfg file and see what they look like... if you're into that. It'll come together once you play with it a little bit. Maybe Bonxie will come along with one of her tutorial pages. I'll check in tonight, let us know how it goes. I wrote a tutorial about blacklisting items with the command line. You can find it here (link). Since the release of MCCC 3.x you can use the GUI with similar commands. -I want to remove EA's accessories from the randomly generated outfits. How do I do this? 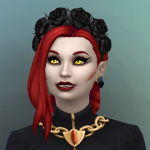 Do I need to dress my sim up with every accessory in the game and individually black list each item for each age? That would be such a chore." I'm pretty sure, that you have to blacklist every single item, you don't want to see on your sims. Every blacklisted item is identified by an unique ID. It looks like this B.M.YA,0x0000000000013287,E and afaik there is only the Asterisk ("*") as a wildcard for all items, regardless which category they are a part of. If any blacklist items are found, they will be 1) replaced by new random items, 2) removed if they are "removable" items like accessories or 3) replaced with a white-list item if one exists. White listing means that only the things which are listed in the white list can be used. Everything else is not allowed. Black listing means that all the things which are listed in the black list must not be used. Everything else is allowed. No, as far as I understand the mechanics behind the commands, there is no possibility to blacklist a whole clothing category. There might be some sort of workaround which @Deaderpool mentioned on the MTS page: you can white list outfit items you like and at the same time blacklist all outfits. If a townie is spawned MC will remove ALL outfit items from this particular townie and will try to replace them with white listed items. But you have to do the procedure for every age and for both genders by editing the mc_dresser.cfg manually to achieve this. I haven't tried this so far, so this is only a guess. By all means make a backup of your game data before you give it a try. What do you have in mind? Draw me a picture. Or do it over there, I'll see either. Yeah, I will. I'll let him get this tranche of stuff out of the way first. The switching can really break immersion in a really jarring way sometimes. @esharpmajor how's the Dresser "get to know you" session going? I had another thought, about Cleaner. Remember that ring I mentioned? I hate it so much, I actually *don't* use dresser to manage it, I use Cleaner to remove that ring from all sims. If you don't want sims wearing bracelets ever, or rings ever, etc... try using cleaner to block the whole slot, rather than using Dresser to white/black list things individually. Shoes, Hats, Glasses and That Ugly Ring, I have in mine. You can definitely get more creative, here. Another thing, about sims wearing blacklisted items... if you want them to KEEP those items, you can use MC FLAGS to flag them with Bypass Cleaner, and the items won't be removed from those sims with that flag. I use it on Wolfgang Munch, for example. I like his look, but some things he has, I don't want *everybody* wearing. So I flag him out of the cleaner alarms, in case I decide to add things he uses to either a blacklist or a cleaner item, later. I was pretty teary at work last night, and this morning, Something Happened that makes me feel a LOT better. I found out who my next manager will be. She's a cashier already, willing to take mgt and 3rd shift. I really like her, I told Jeffrey yesterday he should ask her if she'd do it. He played me... they both did, but I didn't see HER till this morning... we'll have a little chat about THAT, tonight, me and him. He HAD to know she was coming to 3rd. And didn't tell me. I was a mess. He could've mentioned it, or something...) << Storm in a teacup. It'll be a "yo, dude, what was THAT?" kinda thing. LOL! Ethics. He has some. That's fine, but, he could've made one little exception. Now, a more on-topic reminder. Translations are coming in for MC 3.1.1 now. So the MC Page SAYS it's been updated, but it'll only be the .package file that changes. If you don't need MC in another language, you won't need to update until Deaderpool releases updated SCRIPTS, and that's happening next for MTS users when 3.2.0 is posted there. It's been a topic on his thread, so I thought I'd go ahead and bring it up here. I'll let you know when a redownload is NECESSARY. Hi! Sorry this is likely going to be annoying.. but I need help installing. I've downloaded the allmods_3 file but nothing is popping up in game. Am I missing something? I've unzipped them and placed them directly in my mods folder. Not sure what to do! Script mods are enabled in my game as well. Download the packages from the MC MTS download section (link). Best practice is to download the complete collection "McCmdCenter_AllModules_3_1_1.zip" containing all modules. Check your game version. It must be Update 2017/01/12 – PC Version 1.26.96.1010 / Mac Version 1.26.96.1210 aka "Toddler update" to work with current MCCC Version 3.1.1. Unzip the zip file into your s4 mods folder. Don't copy the zip file itself into the mod folder, only the content! In the end your mods folder should look like this (link). Check whether in Game Options > Other the checkboxes "Enable Custom Content and Mods" and "Script Mods allowed" are checked. If not click to check them. If you had to change the settings, restart your game. Now you should see the blue MC Command Center start box and the MC Command Center option, if you click on a in game computer. If you are in doubt whether MCCC is loaded go to Game Options > Other and click on "View Custom Content". Here is a troubleshooting guide from @egwarhammer (link). This could also help. You know, it's nice to drop by here and NOT find any fires needing to be put out. Thanks, @Bonxie ! As always, you rock!! Nicely done. BTW, the Troubleshooting info post from me you linked is a direct copy/paste of what Deaderpool wrote under the Troubleshooting spoiler button on MC's description page. I just posted that here to be able to link to it directly, because it's buried at the bottom and seems like people have trouble finding it... those who are bothering to look, anyway. Wow. I'm glad I'm not there... and all of them should be, too. Just, wow. Week Off is HERE, folks! I'm around. About the Troubleshooter, if they want to translate it into Swedish (or whatever), send them here, to the .doc file. Languages MC is available in... I asked DP, he dug this up for me. French, Dutch, Portuguese, German, Polish, Chinese, Italian, Spanish and Russian. Hi, I posted this over at MTS, but unsure which place will give me the quicker response. I'm still on the fence about purchasing the new GP. I have a quick question. I just noticed that the version of MC Commander I have installed is 3.0.2, which is what the latest was at the time of the Toddler Patch. I'm seriously considering purchasing the new Vampire GP, and was heartened to see this mod has been updated to accommodate it. Now, do I have to update sequentially, or can I simply update to 3.1.1? Please, and thank you, in advance. No need to update sequentially. Pull out the old (except the config file, unless you want to start your settings from scratch), pop in the new. Thank you, but I've yet to learn how to configure this mod. LOL So, I'll just pull it, if and when I decide to take the plunge, so to speak, and get the new GP. Still on that painful fence. Can't figure out what's wrong with me. I'm generally so decisive.